Approximately 30% of cancer-related deaths are linked to diet. 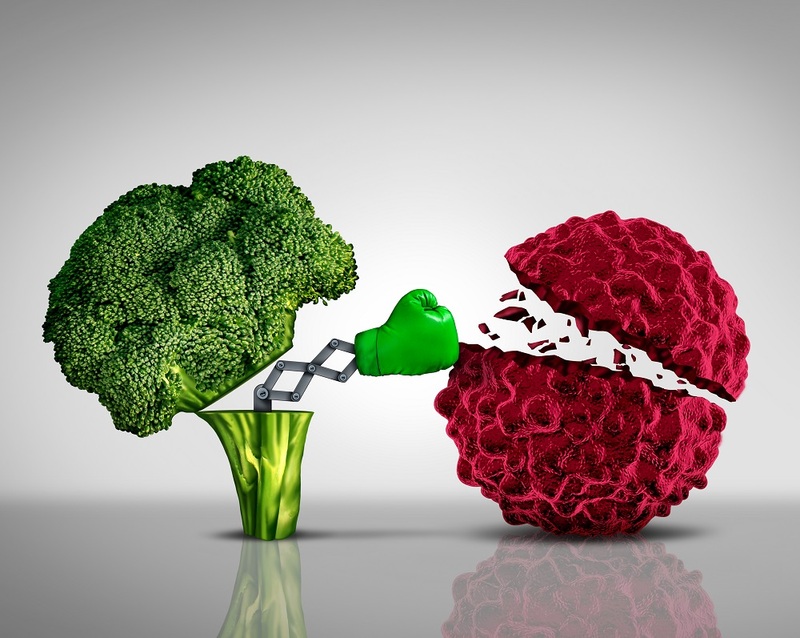 Plant-based diets are associated with an overall lower cancer rate than that of the general population. The risk reduction varies for different types of cancer sites. Cancer-protective foods such as: fruits, vegetable, whole grains and legumes – packed with dietary fibers and phytochemicals (phytochemicals act as antioxidants, anti-proliferative agents and anti-carcinogenic agents that interfere with several cellular processes involved in the progression of cancer).